Selling a house quick with us offers a large numbers of benefits that are not usually seen with selling through traditional methods. Our clients come to us after failing to sell their house in a specific period of time by using estate agents or alternative methods. The speed at which we purchase your house is the most obvious and the biggest advantage associated with our service. We don’t only purchase your house quick, but we also make sure that the sale process is as smooth as possible with little disruption to help with releasing equity from your home. We also offer sellers to rent the property back from us which gives them the huge advantage of remaining in the same house alleviating the huge stresses associated with moving. A house move is commonly understood to be one of the biggest stresses in a persons lifetime and we make sure that you do not have to deal with the pain with the rent back option. 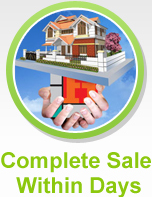 Additionally, we do not charge any commission or fees related to the sale of your house. 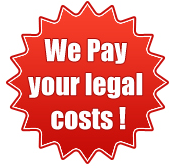 We pay you the agreed price and you will not need to pay any more, as you normally would when using estate agents. We are also happy to accept properties in a wide range of conditions. You will not need to worry about loosing a sale due to the condition of the house. Our policy is simple, if you want to sell your property quick, we will buy it.